We loved our infant car seats/baby carriers. Here’s the rundown on the Chico Keyfit Infant Car Seats we had. The latch system on the bases are super easy to attach, tighten, and detach. When you have two to take in and out, you want it to be quick. They can accommodate a 4 lb baby, which is more likely to happen with twins. They easily drop in and come out of the bases. They’re very common so they attach to a lot of stroller systems including the Countours Options Elite, which has been perfect for us (besides just being huge). The harness buckles are as easy as any other car seats to buckle and unbuckle. I know they were safe in them. I love the polka dot pattern. It was called Lilla. And we got lots of compliments so I know others liked the pattern too. Plus, it’s a neutral color so no clashing with colors. That’s important to matchy-matchy moms like me. They are easy to take the seat cover on and off and wash well too. We had multiple blow-outs. Expensive. But all car seats are. I would consider these a good “middle of the road” car seat at around $199.00. Pun intended. We were fortunate to be given ours, which was awesome because two would’ve been a lot! Plus, we bought a second set of bases so we had them in both of our cars. They got too heavy to easily pull in and out. That would be true for just about any car seat at a certain point so I almost didn’t mention it. I just couldn’t find much to complain about. All-in-all, we give these a 9 out of 10 and would recommend any of my friends to check them out. But more than that, do your research and go try them out in the store before you buy. Buy Buy Baby will let you put them in your cars. 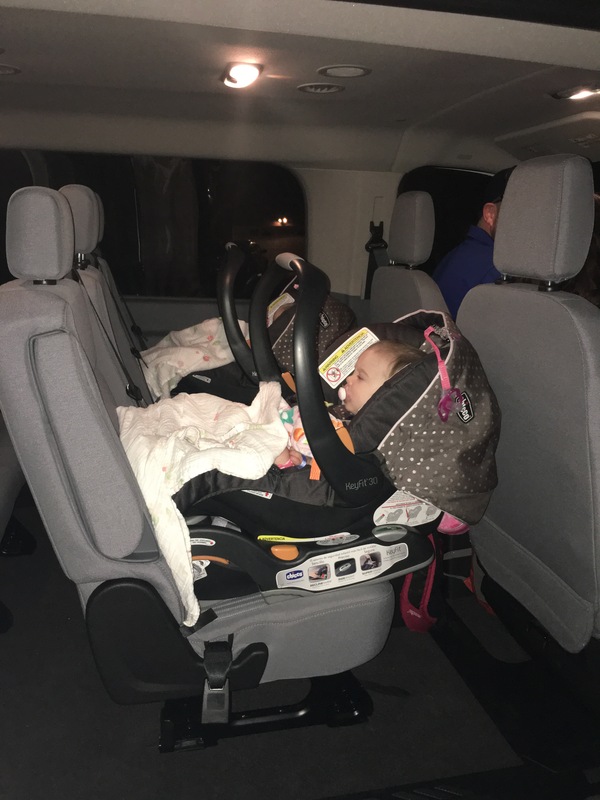 They even let us take two out to make sure they would both fit in our cars…especially since we had a car seat and a booster to work around. Next Next post: And just like that…She’s Six!